The protagonist awakes in his room certain that he has been visited by a passenger. The passengers arrived several years ago and randomly inhabit people's bodies for up to several days. When the passenger leaves, the person awakes with little to no recollection of what has occurred during the period. As it happens, the protagonist awakes on a Friday morning, having been possessed on Tuesday. He decides to skip work and go off for a walk in the city. As he passes different people, he picks out who are carrying passengers and who isn't. Eventually, he finds himself on the steps of the library with other people who have had passengers seem to be hanging out today. Here, he sees a woman that he saw earlier and who seems familiar to him. He soon is given the insight that she was the woman whom his passenger spent the last few days with. He decides to talk to her and break norms to talk to her about the passenger (it's clear that she too has been carrying a passenger). Over the next few days, the two kindle a relationship even though she feels it is pointless, given the presence of the passenger who can just take them away as they please. He reveals that he remembers her from their time with the passenger and this scares her. However, he convinces her that there is something between them and a strong connection exists between the two. Just as she turns the corner of doubt and accepts the idea to be together, the protagonist is taken possession of by a passenger and goes into the nearest bar, finds a man with whom he goes home. Silverberg quickly creates a believable world that his protagonist moves through. He never rushes the detail and allow things to come up in the course of the narrative. There isn't a lot of time spent just informing the reader. The story of phantom passengers taking control is of course a powerful concern, especially for American culture where we place such high value on the individual will. Of course, Silverberg brings up these questions of free will and determinism within the story, asking the question of whether or not once taken possession of, are we ever really free. 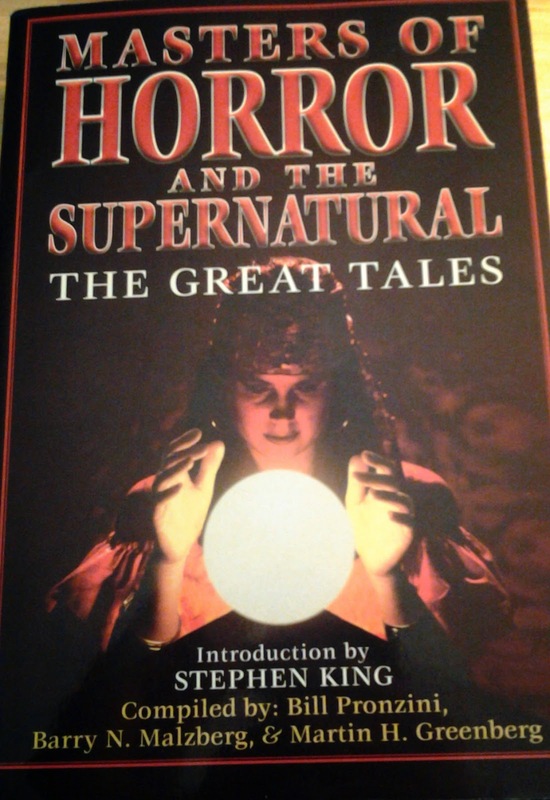 Source: Masters of Horror and the Supernatural: The Great Tales, compiled by Bill Pronzini, Barry N. Malzberg, & Martin H. Greenberg. Bristol Park Books, 1981. The text of this story can be found on this site.